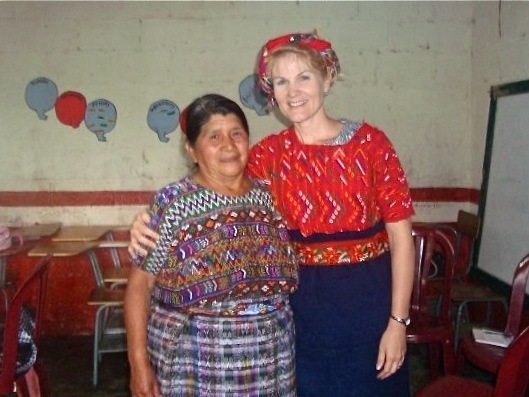 In 2009, I traveled with our daughter Haley to Guatemala on a short-term medical missions trip. While visiting one of the villages, this abuela (grandmother) honored me by dressing me in her village’s traditional costume. Guatemalan costumes are unique to each village. It meant so much to me that she would thank me in this way. By the way, one six-year-old little girl laughingly teased that I was not Haley’s madre. I was her abuela. And in this costume, I kind of look the part.